If you are interested in the true story behind First Man, there are already quite a few great documentaries out there that cover elements of it, but this year we’re getting a new dedicated entry from director Todd Douglas Miller (Dinosaur 13). Simply titled Apollo 11, it focuses entirely on the legendary mission that resulted in Neil Armstrong and Buzz Aldrin touching down on the moon. It is culled directly from the NASA vaults, relying heavily on never before seen 70mm footage without any talking head interviews whatsoever. The movie just premiered this past weekend at Sundance and seems to be a hit with critics (as illustrated by the many glowing quotes in the trailer). 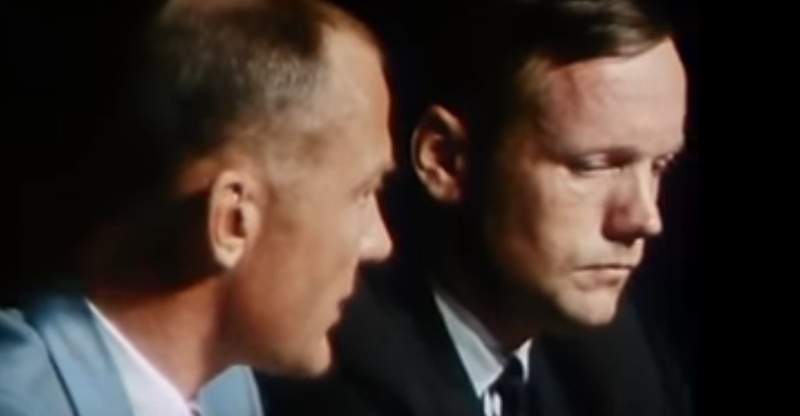 Apollo 11 will be released by Neon and CNN Films later this year; check out the trailer after the jump and see what you think. I’m looking forward to this. The 50th anniversary deserves an epic documentary. Let’s hope this fits the bill. Oh man this looks absolutely stunning! I am so looking forward to see this!!! Wish I was alive then to have seen the launch and vids from the moon! It must have been an incredible live event! been on a space kick lately. first man 4k, apollo 13 4k, in the shadow of the moon on amazon prime. I hope they include some footage from the press conference where Buzz Lightyear wears the expression of a guy who just murdered his entire immediate family. The guy probably just got too close to the dark side of the moon when he was joyriding around on his tricked out sick dune buggy. Fun times. They should make a trip back there some day for old time’s sake. It’s gotta be easier than pie nowadays. Trump could make a phone call to them on an old rotary phone for some lols.